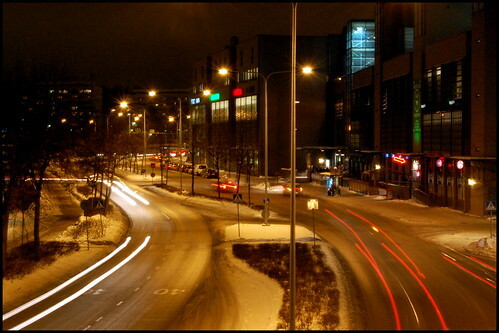 This is also an old photo taken in Itäkeskus, Helsinki. I tried some slow shutter speed photos in February. This photo is taken last autumn. I was looking through some old photos on my computer and found a few I don’t know why I haven’t uploaded, so I may upload some more old photos soon.